Spring is coming and I hope it’s coming fast. I can’t stand this dull, very depressing Weather anymore. To many bad things happend lately and I hope they are gonna turn into something better soon. And since Spring is coming I though it’s time for some spring cleaning, but not the traditional – get the House sparkling – kind, I’m thinking more about the Digital kind. I have so many many many pictures on my Harddrives on both my Laptops, Phone and my PC, it’s really time to get to action and clean up. First I started with my pictures, oh man, so many bad pictures from the beginning of my Photography Journey, but then also soo many amazing ones, Memories. While cleaning up I came across one of my first tired Cakes. 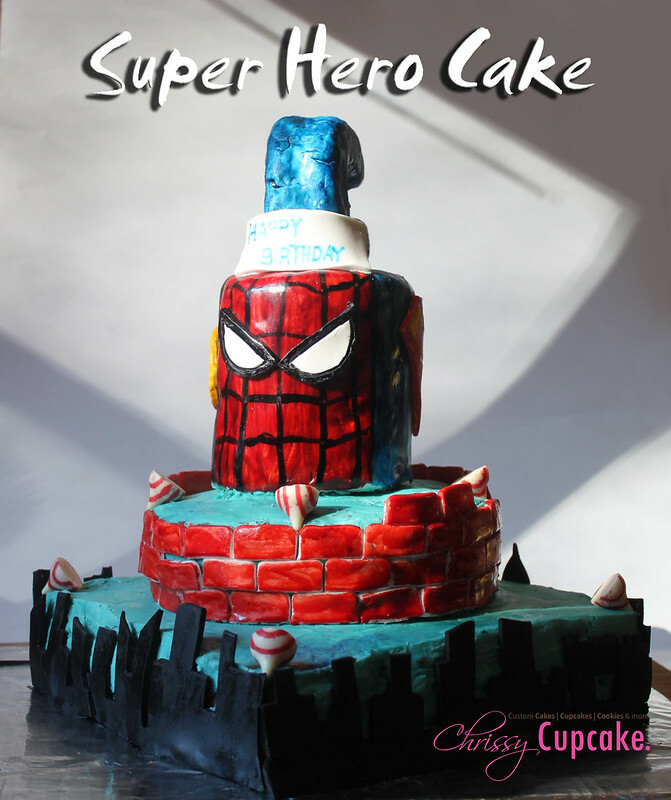 It was a Super-Hero-Cake that I had made for my Brothers best Friend. The Fondant really doesnt look all that good and the Ganache was really not working well but in the End, I was proud of my work. The Cake consisted of 2 Tiers with a Rice Krispie Treat Topper, shaped into a C (my Brothers Friend’s Name is Christopher). Both Tiers were a Coconut-Honey-Raspberry Cake with Blue Ganache and Fondant on the outside. Good Old Times. I like to remember and look at past work to see how much I have developed and learned in this short amount of time. I never want to stop improving, cause there is still so much on this Earth to learn and experience. I hope you all will stay curious.